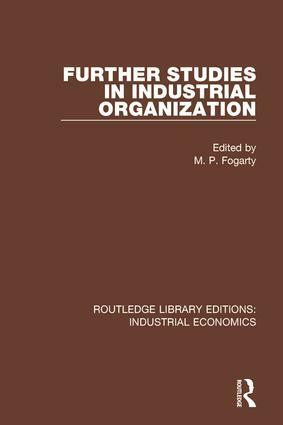 This book, first published in 1948, examines four industries studied as part of the Nuffield College Reconstruction Survey, begun in 1941. These studies, despite their apparent diversity, have a number of features in common. One is geography, and another, more pressing, is the relation of industry to the Government and the public. The studies serve as part of the historical background of reconstruction, and they carry many lessons in economic organization.